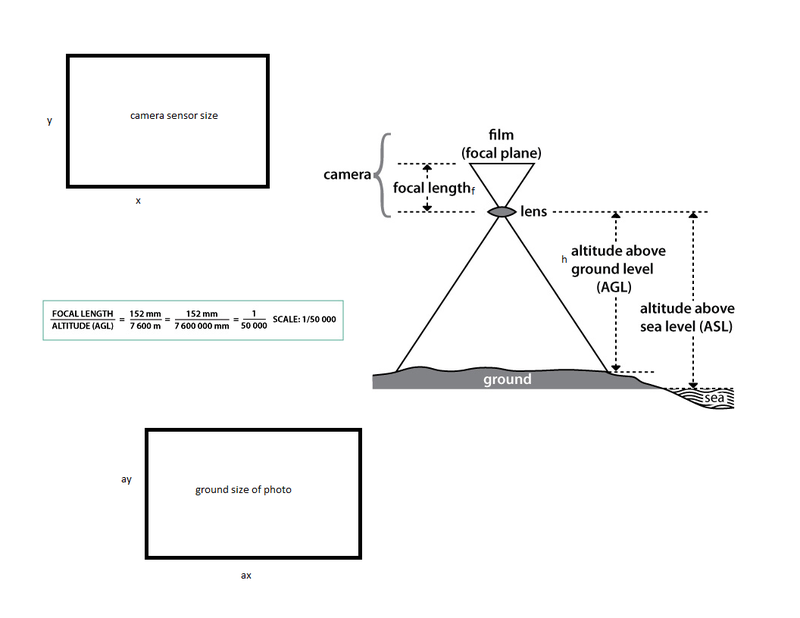 I was wondering what an easy formula to calculate the dimensions of the ground covered by an aerial photograph. How can I combine these variables to calculate metres by metres covered by each individual image captured? Would these formulas work? making sure that I compare the proper units to the proper units. We have created an webpage with a script that will perform the calculation for you: Aerial Camera Ground Footprint Calculator. You just have to enter the variables mentioned and click the Calculate button. Please note the calculator interface is in English, but the primary site language and explanations are in Spanish. Not the answer you're looking for? Browse other questions tagged aerial-photography photogrammetry or ask your own question. Using Phantom 3 Pro to capture aerial imagery for small site plans and derive DEM?